Summer comes and we hit beaches to get ourselves all tanned up from the sun. Well, it seems like the sun isn’t entirely responsible for the tan. The entire universe serves as a tanning bed. A new tanning source discovered – accounts for 10 trillionths of your sun tan! 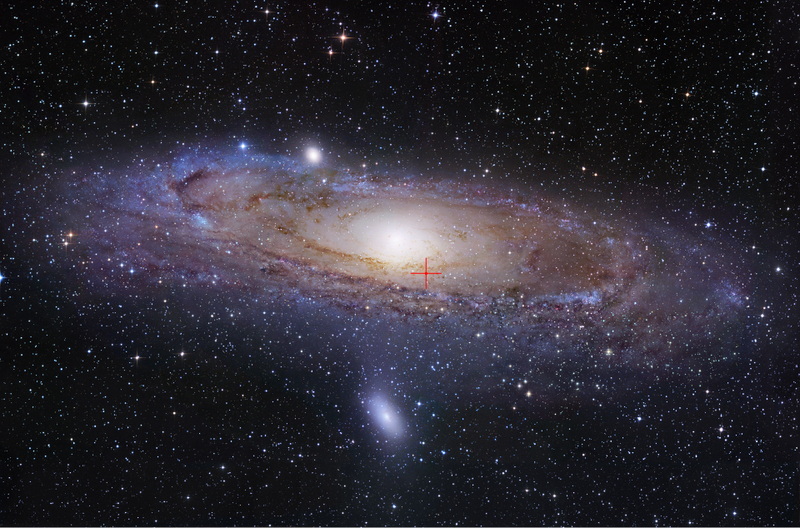 Astronomers measured the amount of light that reaches the Earth’s surface from outside the Milky Way. They found out that whenever we go out, regardless of the time of the day, we are bombarded with nearly 10 billion intergalactic photons every second. This seems like a huge number but surprisingly most of the photons that cause the tan are absorbed by the sun. 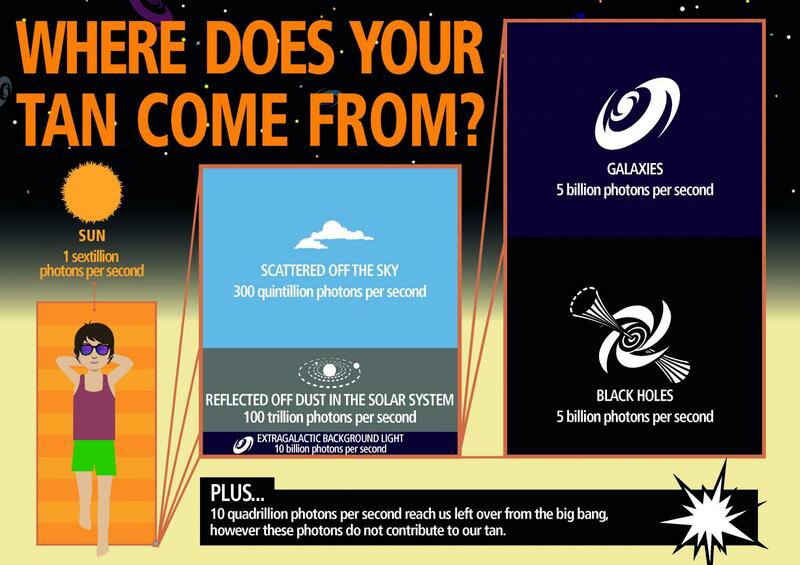 The universe is responsible for only about 10 trillionths of our sun tan. The team consisted from Astronomers from University of Western Australia, Arizona State University and Cardiff University. They managed to examine data collected by NASA’s Galaxy Evolution Explorer and Wide-field Infrared Survey Explorer telescopes, Spitzer and Hubble Space telescopes, the ESA’s Herschel observatory and Australia’s Galaxy and Mass Assembly survey. Since they used data from very high profile telescopes and observatories, it can be said that amount of photons hitting the earth’s surface was accurately measured. After all their efforts they found the exact amount of intergalactic photons that bombarded us every second. Such high amounts as previously stated seem a little intimidating. Wouldn’t such high exposure damage us in some way? Well, apparently not. According to what the team tells us, it would take you trillions of years to get harmed by this amount as dust clouds in the universe protect us from most of the harmful wavelengths. Rogier Windhorst from Arizona State University said, “The galaxies themselves provide us with a natural suntan lotion with an SPF of about two”. This study is only part of the team’s mission; which is to find how the Universe’s energy, mass and structure have evolved over the years. Driver said, “The processes which shape and shuffle mass generate vast quantities of energy, dwarfed only by the vastness of space. The precise physics as to how this energy is released is still not fully understood and work continues to build numerical models capable of explaining the energy that we’ve now measured.” We can hope that in the future, when telescope technology advances even further, researchers will be able to unravel some of the most mind boggling mysteries of the universe.